Stephanie Says So: Forty-three years and COUNTING!! Happy Anniversary to US!! Forty-three years and COUNTING!! Happy Anniversary to US!! 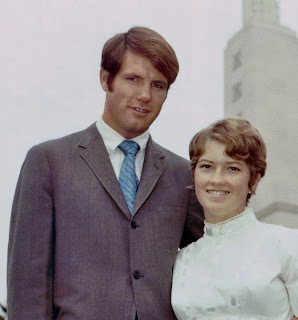 43 years ago, at the tender age of 19 (I know, I look about 14 in my wedding pictures), with only a year and half of college under my belt, I made the most important decision of my life – I married James Alex Abney on August 5, 1970 in the Los Angeles LDS Temple for “Time and All Eternity.” The rest . . . as they say . . . is history! We met in a college (BYU) snowball fight in November of 1969, started dating the end of January, 1970, got engaged, April 20th and married August 5th (all accomplished in less than a year). Were we crazy or what? Luckily, things have turned out well. Not that it’s been all sugar and spice. It’s been darn hard, but for where we are today, so worth it. Thought I would share the story of the bright flowered bridesmaid dresses; a story I don’t think many of my family members have heard over and over, if at all. Back in 1970 the style was for bridesmaids to all wear the same pastel color, floor-length empire style dress, usually made with flowing sheer rayon voile fabric. Nope. That would never work for me. I LOVE color – I mean I REALLY love lots of BRIGHT vibrant colors – just go to my Pinterest Board (Color Splash – I LOVE Color) and see what I mean. My mom and I decided to go to the fabric district in L.A. so we could have a large selection. Holy Cow! Too many stores with rows and rows of fabric. It was dizzying. I told my mom that I at least wanted to find a floral voile fabric. She had her doubts but we began to search the shelves of material. And THAT is how we got my very BRIGHT bridesmaid dresses. 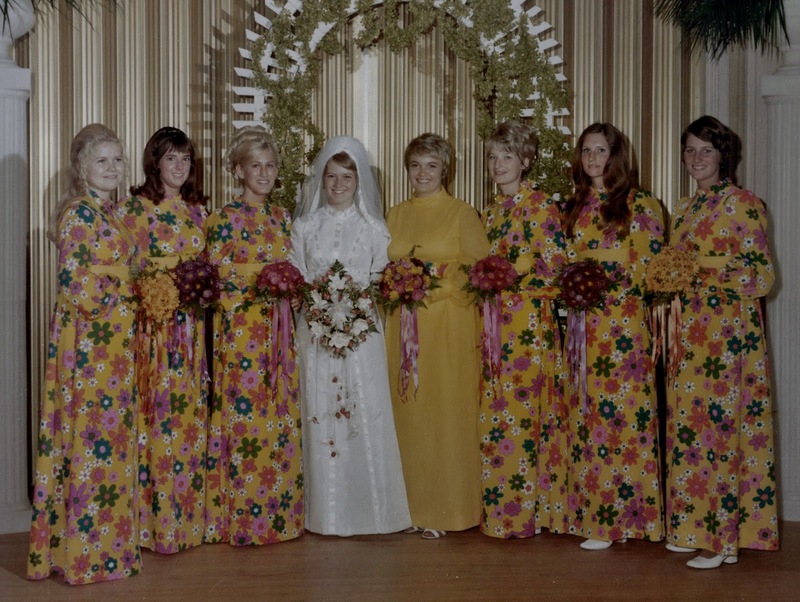 I think my sister was always secretly glad that she was the maid of honor, and as such, her dress was solid yellow (her favorite color) with only a band of the floral print. (And the band for the bridesmaids was solid yellow). People went through our receiving line with their eyes WIDE open!! It was such fun!! I LOVE these dresses. Fun dresses at the wedding are no guarantee, that’s for sure. We’ve had plenty of struggles, financially and otherwise. We buried our youngest son nearly 13 years ago when he was just 16. We’ve each buried both of our parents. In fact, for Jim – his dad, Kenneth Abney, died in a plane crash when he was only 9. Then his step-dad who had been part of his family since Jim was 11 died in 2000; same year as my dad, his mom and our son (my mom passed away at Christmas time in 1998). Those were all some challenging times. And there have been other things that might surprise someone looking in from their vantage point, but that’s just life. We’ve weathered lots of things but where we are today, is a very wonderful place to be. Many wonderful experiences as well to round out the edges of our life together. So, here’s to many more years with Jim. Cheers!! Check out those floral dresses! Very 60's! Love it! And congrats to you and Jim. A wonderful post! Congrats, Stephanie!! Oh my goodness you look like a very young Shannon or Mandy. I love those wild dresses, you and Jim are some of my favorites. Love you guys! 43 years is a GREAT accomplishment, especially in today's world. congratulations to you both! Hello!! 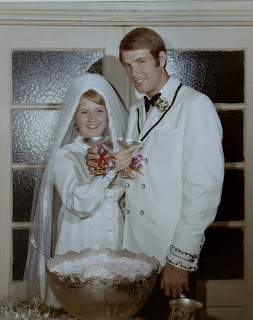 Congratulations on what would now be about 46 years of marriage! It looks like a Golden Anniversary is headed your way! My husband and I are a few years behind you, but several similarities are involved! We met in the spring of 1975 just before I graduated from high school, started dating in late summer, got engaged in November, just before his birthday and Thanksgiving, and married the following July 28th. I was 19, and he was all of 20, and a two striper in the Air Force. Like you, we've been through some things that would likely curl most folk's hair, but we just celebrated our own 40th wedding Anniversary! We had a very colorful wedding too, but not quite as vivid as yours! My two girls wore yellow and green, with identical flocked floral designs and big floppy garden hats. 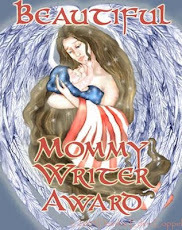 Mine was an all white cotton and lace Gunne Sax by Jessica McClintock floor length gown, and I had baby's breath in my hair. A veil would have been impractical for our flower garden wedding. We now have two grown children, and our oldest, a daughter, and her husband, who were married in the Washington DC Temple in 2001, have presented us with six grandchildren! Its been a busy, and sometimes downright rough life over the years, but overall, I wouldn't change a thing! Congratulations again to you, and I really enjoyed looking at your beautiful wedding photos!